How to decorate your room with Triangle shelfs? J1 designer has implemented a new project called Triangle shelf that can be use to decorate any part of the walls by hanging them as a sculptural object or can be used as an existing part of the furniture. 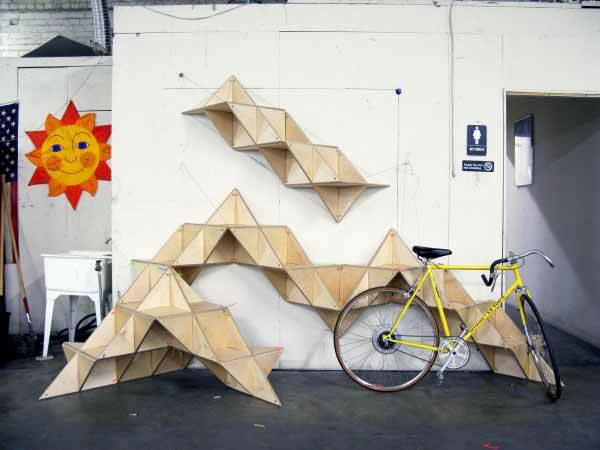 These shelves have a triangle shape that can be customized by you’re desire. T. shelves are made with Baltic birch plywood and zipties for assemble them. You can use them for put your CDs, books, , plants, pictures, or anything you want that can fit in. Isn’t it a great idea for decorating your home? Thanks for these ideas, I’ve been wanting to try these as well! it and i also have you saved as a favorite to see new information on your blog. Excellent web site you have here.. It’s difficult to find quality writing like yours nowadays. Awesome job once again! I am looking foorward for your next post.